Recession-proof job. What exactly does that mean and how does it affect you now or in the future? I don’t know if any of you have been watching the news lately. But from my point of view, it seems like a lot of doom and gloom when it comes to the future of our economy. I’m sure a lot of you can remember the housing crisis in 2007 which inevitably led to the 2008 stock market crash. This was a scary time for a lot of people. We saw many close friends and acquaintances lose their homes and their jobs, leaving them in some pretty dire financial situations. Something we wouldn’t wish on our worst enemies. So what exactly defines is a recession? 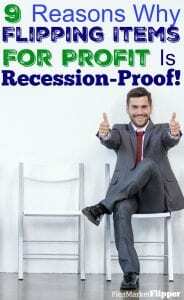 A recession is when the economy recedes as a whole for six months in a row. If you are like me, it’s hard to wrap my head around what a recession actually is, but Dave Ramsey defines it when the economy recedes as a whole for six months in a row. If the economy is not thriving and moving things around, it will go into recession. The factors that are considered in this are high unemployment rates, slow real estate market, and sluggish profits from retail. I’m not a financial guru by any means and numbers are not my favorite thing. But I do believe that the media can make things sound terrible and we can become victims of our own destiny. The good news is you don’t have to be a victim to any recession. You can have hope! It’s our desire by this post that we can encourage you that recessions don’t have to break you. They don’t have to ruin your financial situations. They don’t have to be the end all. You can actually thrive during a recession, believe it or not! The truth? Flipping items/reselling is recession-proof! We survived the recession and instead of it breaking us financially, we along with many others in the flipping business, did quite well during those times. There are a few reasons for that and that’s the main purpose for my post today. We believe you can survive the next recession. In fact, we know you can! Below are a few reasons flipping is recession-proof. These are from my own personal experience of flipping through many dips in the economy over the past 22 years. Don’t let the fear of a recession scare you. You don’t have to become a victim of the media’s doom and gloom in anticipation of the next recession. You can survive it and not only that, you can prosper through it! Below are 9 reasons you can actually look forward to the next recession if you are in the flipping business! For the most part, during a recession, people have less money to spend. Less money to work with, means they are looking for ways to buy items they need at a deep discount. I know for us, when money is tight you can bet we are spending less and looking for a good deal. Sluggish retail spending is actually one of the causes for a recession. People lose jobs and take a cut in pay, money gets tight, and they stop buying retail. Plain and simple. The demand for items at retail becomes less and less because many Americans just don’t have the extra money to buy it at full price. The basic laws of supply in demand is if prices are lower, there will be more of a demand for the product, especially during a recession. What does that mean for the flipper? Well, it’s simple! For the most part, I sell expensive items at about 50% of retail. Because my prices are lower, the demand for them becomes higher. Simply put – People come to me during a recession to buy my picks. 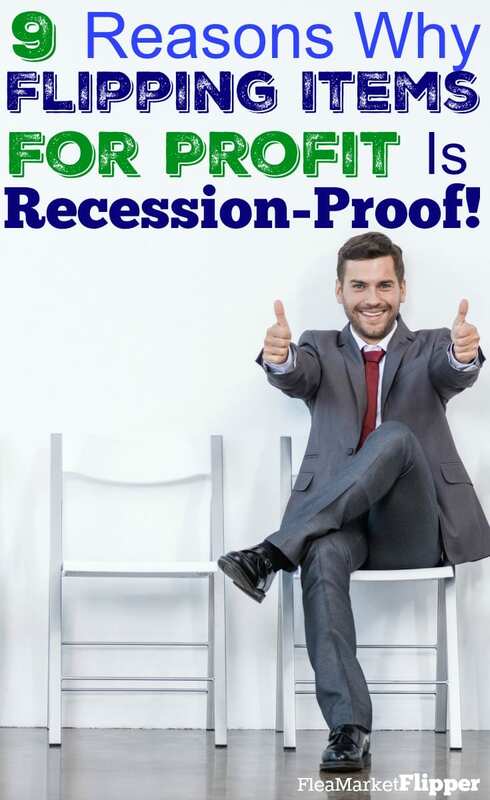 It’s not just me – but anyone who flips for profit during a recession will thrive! If you’ve been hanging out with us for any length of time at Flea Market Flipper, you know Melissa and I take our kids on daily walks through our neighborhood, often picking up amazing items for free on the side of the road to picked up by the garbage man. Just think about downsizing a 3000 sq. foot house to 1500 sq. feet! When people get hit with the economy and a job crisis, the first thing they start thinking about is getting into a home that’s affordable so they can keep a roof over their head. Many are looking for homes that are smaller. You wouldn’t believe the crazy, amazing things we find that people are just tossing or selling for pennies just to get rid of it so they can move. This definitely keeps the flipper in the game during recessions! I can't even count the amount of high-end cooktops, microwaves, and furniture we have bought because someone was moving and needed to get rid of them, and then sold on eBay for (usually) a 10x profit! This goes along the lines of those people who are downsizing. People who are being hit with the economy start figuring out their paycheck (or lack thereof) has too much month and not enough money! What do they do? They start selling! They look around realizing they can now live without those luxury items they purchased because paying the electric bill becomes their main focus. When money was abundant, they bought toys for entertainment. But they quickly realized now the toys were lying around unused because they no longer have the money to use them. The flipper is benefited by this because these items are priced right. The owner needs to dump them, and believe me, I’m there to help them with that! During the last recession I scored a tanning bed that someone needed to get rid of quickly. I bought it for $100 and sold it to a local gym for $1,000. A great deal for them and I made a great ROI on my investment! One of the biggest budget busters Dave Ramsey talks about is the high cost of eating out. We know full well how expensive it can be now eating out with a family of five. Those effected by the economy come to terms with the fact that they can’t afford to spend $10-$15 a plate eating out at a restaurant like the old days. What’s the alternative? Eating at home! This is great news for me! I don’t know how many refrigerators, cook tops, teak furniture for backyard barbecues, fire pits, and other kitchen appliances I sold during the recession because people needed to get their kitchens and backyard barbecues going so they could cook at home. They didn’t have the cash to be able to buy brand new, so Facebook Marketplace and eBay were booming with backyard barbecue options and kitchen appliances. I benefited from this on both sides. People were moving quickly here in Florida, so I was buying the appliances and barbecue equipment for a lot less and reselling them on eBay and local markets to new families. This was a win-win for all of us. Working out and taking care of our bodies is a great thing. Many people invest hundreds in their health, including very expensive monthly gym memberships. When Melissa was a personal trainer, she witnessed so many people paying for expensive gym memberships. In fact, the average price is $40 to $50 a month just to go to the gym. When desperate circumstances hit, people come to the realization they can’t afford to pay out that much money every month. This causes them to have to think of other options to keep themselves in shape – Like a home gym! I sold a large number of exercise bikes, ellipticals, treadmills, and steppers to many people during the recession. 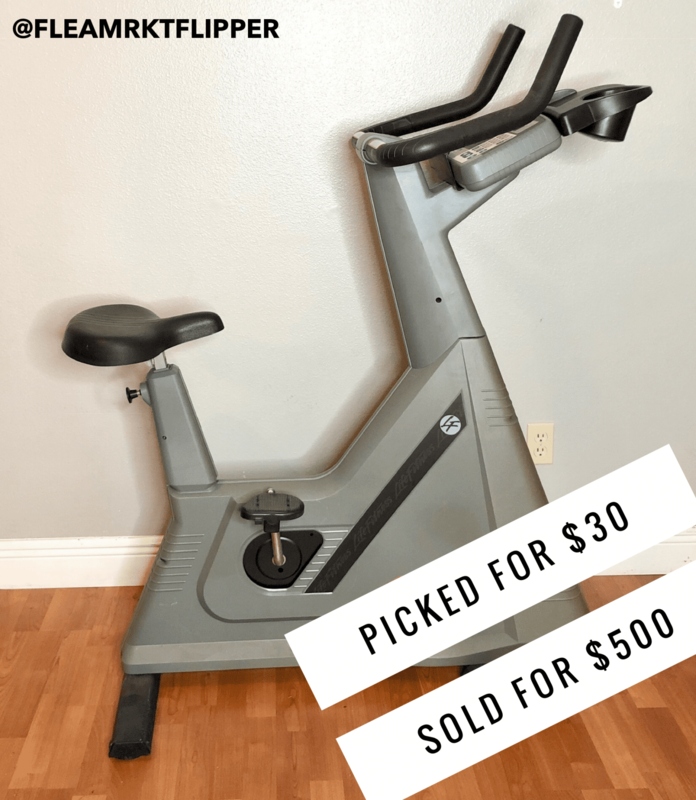 During their time of financial struggle, it made more sense to invest $500 in an exercise bike one time than to pay $50 a month going to the gym. I found and sold an amazing number of these during the economic downturn. And because their health was important, you can bet they were still buying. They found a way to afford their exercise equipment! During times when the economy is not good, the thrift stores are rocking it and stock full of great sales! I remember being amazed at the amount of quality resale items I could find. Remember, the thrift stores are constantly moving stuff out of their store to bring new items in. This is great when there is an overload because they will drop the price to get rid of the item to put in the new. And you can be sure when they drop the price, I was right there to get some great buys! In fact, thrift stores have their best time for sales during recession for two reasons. People are getting rid of their items to downsize so they are donating a lot of valuable items. Others who are struggling financially are in the market for a good deal without paying full price. Dips in the economy actually benefit the flipper because there are so many great, inexpensive items to choose from. Here’s the great thing – Because thrift stores thrive during recession – That means my flipping business is thriving too. There is no shortage of amazing flips I can come up with by visiting my local thrift store on a regular basis. During the economic downturn in 2008, Melissa and I saw so many people lose their jobs and be forced to take new positions in other cities just to support their family. How unfortunate some of those families were to be put into that position. I know Melissa and I would hate to move from our little Florida town because we love it here. Here’s the awesome thing about flipping for profit during a recession – You can do it from anywhere. In fact, when Melissa and I travel to other cities, we are constantly buying items along the way – Great items that we can make a great profit from. Some think maybe all of the deals are here in Florida. Not true. You can flip from anywhere. All we need to do our business is a computer with internet. We can access all of the selling apps and eBay from anywhere in the world – And we know from experience that every place we have ever gone has as many great deals as we do here in Florida! Flipping is mobile and you can move around to any place in the world to do it and be successful at it. Our hope is you are not forced by a recession to move to a place you don’t like when you can flip items at a profit anywhere you want to live. Our hearts went out to so many people who lost their jobs during the recession in 2007. We had friends who lost jobs they loved. We knew others whose companies decided their worth – Dropping their pay significantly without warning. We had a similar situation happen to us – Which is why I went full-time with flipping in the first place. Right before our last baby was born, my job decided to cut my health benefits. No warning. No planning. No benefits. With the loss of jobs and the slashing of benefits and pay during the recession, thousands were forced to look for other jobs. 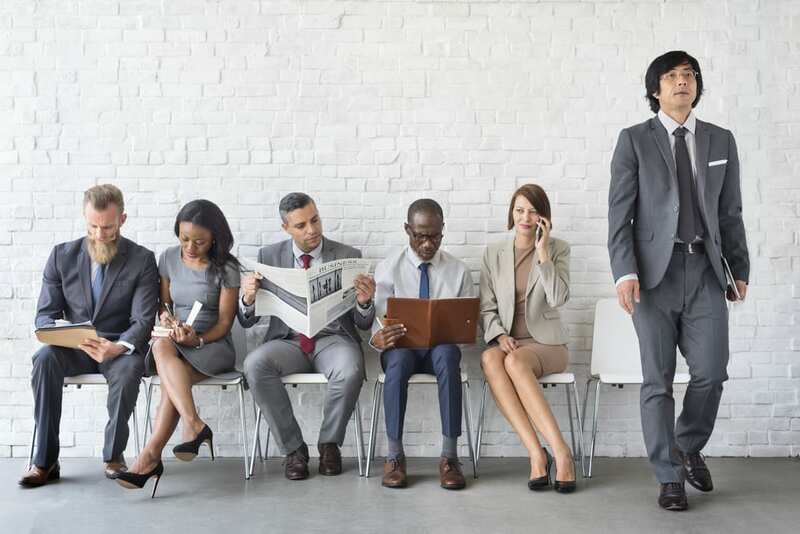 Because real estate died, construction stopped, and spending halted, there would often be one job and with thousands of applicants. These weren’t good odds for those looking for employment. What a shame that they were put into a position to have an employer decide if they were worth it. Here is the great thing about flipping. You don’t need to fight over one job. With flipping, there is plenty of work for all of us. If you want to earn more, you can do that too! You don’t need a four-year degree to make a six-figure income. In fact, those of you who know me well know I really struggled in school and college was not going to be my thing. Did that leave me out in the cold? Nope. 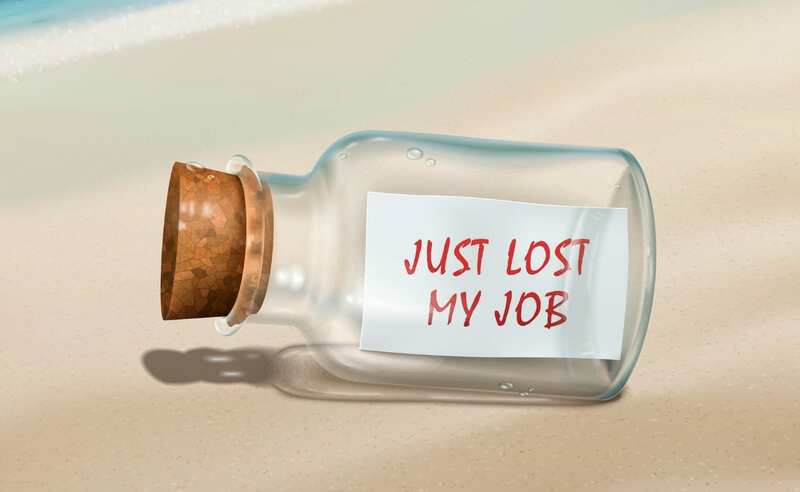 When jobs are scarce doing a recession – You can make a great living – No degree, no interview, no resume – No problem! Honestly, I’d much rather earn six figures by flipping items on my own schedule, than be on someone else’s clock while they decided what I’m worth. I hope you feel the same! This is hard to believe after watching the media’s version of the last recession, but the truth is, not everyone in America had a financial crisis during the downturn in the economy. The fact is, many Americans had very stable jobs during that time. 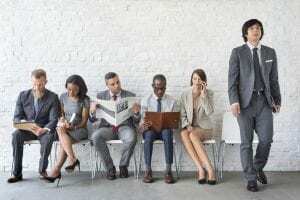 There are quite a few recession proof jobs, like nurses and government workers – And after this post you will be able to add the flipper to this list! Others were very financially secure with good planning, low debt load, and an emergency fund. These folks barely knew there was a recession! They skated through it not changing the way they lived or spent one bit. And since they weren’t changed by the economy, they continued to buy what I was selling. Now, don’t get me wrong, it definitely can affect a lot of people – but not everyone. When you use a platform for resale as big as eBay reaching 171 million users worldwide, you are bound to get some of those financially fit people who are still in the market to buy and that makes my flipping items very recession-proof! There you have it! Flipping is totally recession-proof – Not just for me but for anyone who learns how to do it. The next time you feel doom and gloom when you watch the economist predict how horrible the next recession will be, just know you can flip for profit right through that recession. Not only that, you can make a great living at it. You can live where you want, choose the life you want to live, and be your own boss – and no recession can take that away from me or anyone who chooses to flip items for profit! If you are ready to learn the ins and outs of reselling NOW and be prepared for when the next recession hits, then check out Flipper University! Did the last recession hit you hard? Or were you prepared for it and had a recession-proof job? Comment below! Hi Ron, the recession in 2007-2008 was at a time when we were going to start new business which didn’t happen for several other reasons. We were both out of work for over 6 months and ended up using our 401 and savings account to live off. I’m seriously looking at flipping as a way to build up our savings again before we retire which is happening in the next 10 years! I appreciate your flipping information that you’ve been sending. Will let you know how it goes!